At the outset, let me thank you Mr. President for hosting this timely formal meeting on the very important issue of migrant crisis in the Mediterranean basin. In Afghanistan we have four categories of our nationals who are associated with the refugee crisis today: (1) people who have recently arrived in Europe or trying to enter one of the European countries, both legally and illegally; (2) people who are currently intending to leave the country and are busy making arrangements for that; (3) people who have lived in the neighboring Pakistan and Iran for lengthy years and (4) Afghan diaspora in fear of retribution for terrorist attacks around the world. Under category 1, Afghans make up the second largest group, after Syrians, in the current migrant crisis in Europe. They are at the highest risk of exploitation from traffickers, as well as from the dangerous journey to get to Europe. According to UNHCR estimates, 12 per cent of the nearly 137,000 refugees that crossed the Mediterranean in the first six months of 2015 were Afghans. While we thank the international community for all the good work they have done, greater role of relevant UN agencies to address the needs of this group of people is required. Vilifying this group of refugees by equating them with terrorists is factually incorrect and highly counter-productive because most of them are the victims of terrorism, fleeing violent extremism. Currently some countries may be thinking of developing measures to deport Afghans whose asylum requests have been rejected. According to one estimate, in Germany alone 7,000 Afghans can be affected by this measure. Forceful return of this group, who have already exhausted their finances and have taken enormous risks to get to Europe in search of stability, is not only against the 1951 UN Convention relating to the Status of Refugees, but will increase their hostility to Afghanistan itself, develop hatred towards the developed world, and ultimately fuel radicalization and violent extremism among disenfranchised youth. 1. Emergency assistance to those refugees who are at risk, especially women, children, elderly, and disabled and better coordination with humanitarian assistance agencies to provide essential services. 2. There should be no discrimination for accepting asylum seekers. The current rhetoric among xenophobic political groups for screening refugees based on religion is despicable and against the core values of the UN. 3. There is a need for a comprehensive review of the past bilateral agreements between our Government and the European countries. Category 2: People who are currently trying to or thinking of leaving the country. Two factors are key to understand why these people are trying to leave so desperately and what can be done to prevent it. 1. Security concerns: Post-transition slow down and ongoing conflict and the fight against region-based terrorism and violent extremism are key issues forcing Afghans to consider the option of leaving Afghanistan in search of safe havens. 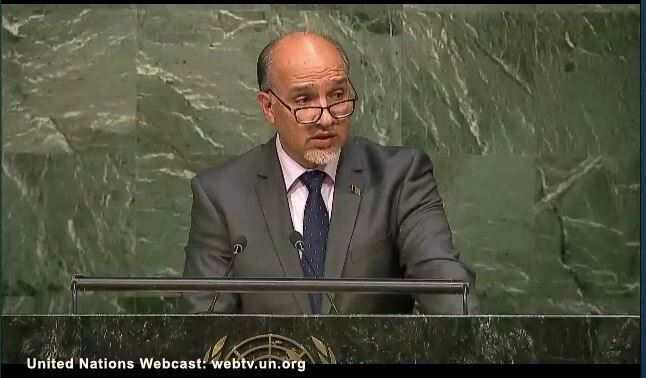 This year many of our people were victims of the unprecedented attacks of the Taliban and international terrorist groups. 2. Economic Issues: Endemic poverty to the tune of 36%, widespread unemployment of roughly about 50%, and lack of a foreseeable future are core factors for migration. 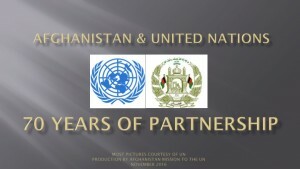 1: Addressing Afghanistan’s security and economic challenges, with a particular focus on the key drivers of violent extremism and terrorism imposed on us causing displacement and increased investment in and engagement with Afghanistan are pivotal to create hope and a future through developing economic options within Afghanistan. In this regard, please help us complete the MDGs and implement the SDGs. 2: A comprehensive awareness program, at national, regional, and international levels, can be used to discourage people from leaving their countries. The cost of convincing a person not to leave their country is a lot cheaper than dealing with a refugee. Category 3: People who are already settled in Pakistan and Iran for a long time. Continued assistance from Iran and Pakistan for the process of voluntary repatriation and sustainable reintegration is essential, for which we are thankful. Recent reports point out rampant police harassment, threats, and violence against Afghan nationals in Pakistan leading to human rights abuses and politicization of refugee issues, which should be avoided. Category 4: Afghan Diaspora: Security issues and human rights of the Afghan diaspora, people who have assimilated in the countries and cultures where they have settled for years, are slowly becoming an issue to seriously consider. 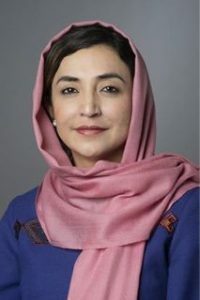 Many Afghans and Muslims at large are feeling increasingly vulnerable in the face of extremist violence, right wing rhetoric slamming Muslims at large, and negative stereotyping and heightened surveillance from intelligence agencies while conducting counter-terrorism efforts. Almost all Afghan refugees and diaspora are the victims of foreign invasions and terrorism, not the perpetrators. By equating these two categories and creating an environment of suspicion, the world would play into the narrative of the extremists that Muslim refugees are not welcome in the West and there is a wider civilizational clash between the West and Islam. 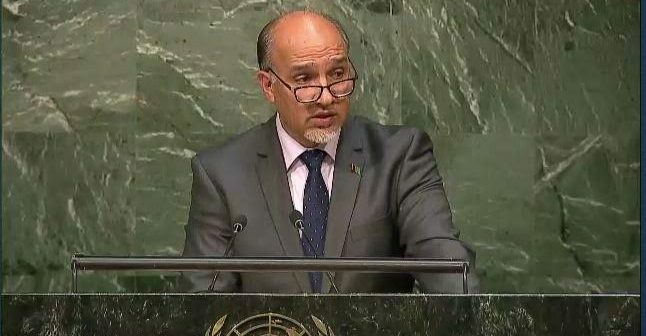 Currently, discord and lack of unity among member states are utilized by these terrorist groups and unfortunately, certain circles within some states in our region use the terrorists to advance their agenda. 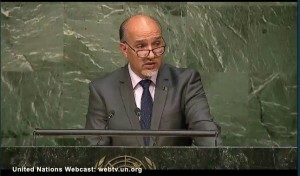 Member states have to put forth a united front in dealing with countering violent extremism and international terrorism while keeping the door open for millions of refugees and displaced people because letting conflicts fester and thereby creating conditions that displace people will eventually become a problem for member states in the form of refugee influx. 1. While dealing with socioeconomic and geopolitical factors and finding a political solution for conflicts in the Middle East, in particular Syria, is essential, greater engagement and support to Afghanistan to fight terrorism is also imperative. 2. We need a complete review of migration and immigration policies of member states in the light of the current crisis. 3. We need to tone down the Islamophobic rhetoric which feeds the extremist doctrine of radicalization. 4. We need to create stable sociopolitical conditions to prevent the exodus of refugees and create better economic options. In this regard, Afghanistan has launched a National Employment Program that will create jobs and provide a viable future for ordinary Afghans. So as you can see, we may have a very busy agenda for the first World Humanitarian Summit to be held in Istanbul, Turkey in May 2016. Thank you Mr. President.